Justin Schwartz was among the penultimate days survivors in the 2015 World Series of Poker (WSOP) Main Event. Driven by his own volcano-like character, he recently addressed his rivals for a new challenge. The young online poker prodigy highlighted that he is ready to tee himself against anyone in a $ 25/50 blind pot-limit Omaha. In recent past, Schwartz was involved in a verbal clash against the Canadian poker pro, Daniel Negreanu, the scope of which was about some differences of points of view regarding internet-based poker. This time, Negreanu is poised to take on the challenge, yet, denying it as a revenge. According to him, the Kid Poker wants to give a life lesson to his opponent he considers as a little kid. Hence, valid is the Negreanu Vs Schwartz clash. If defeated, Schwartz is deemed to face weight loss challenge, do some reading, practice yoga and meditation while enrolling himself in a personal development program at Choice Center Leadership University. For his part, Schwartz is likely not in the mood to follow the famous program or make such efforts recommended by the Canadian poker guru. However, both players come up with a more appropriate idea: a face-to-face in a pot-limit Omaha and 2-7 triple draw freezeout in August. 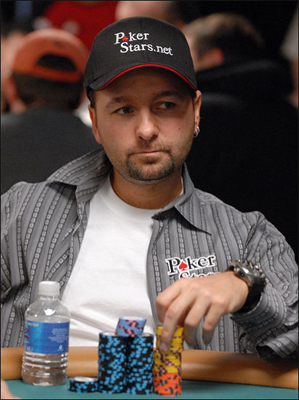 If Negreanu wins, Schwartz is forced to lose about 22% of his body fat. If he succeeds, he will cash the agreed prize of $ 100,000. And if he failed to hit the 22 % fat loss, the prize would go to a charity both players will choose together.